Gwendolyn Zabicki interviews painter Eleanor Ray. Ray comments: "I like the idea that the small painting is kind of monumental rather than miniature – that it can contain a bigger space, like the imaginative space of a book, and that you can get back from a smaller painting more easily. So you can see more quickly how it operates on an abstract level when you’re not quite reading the imagery. 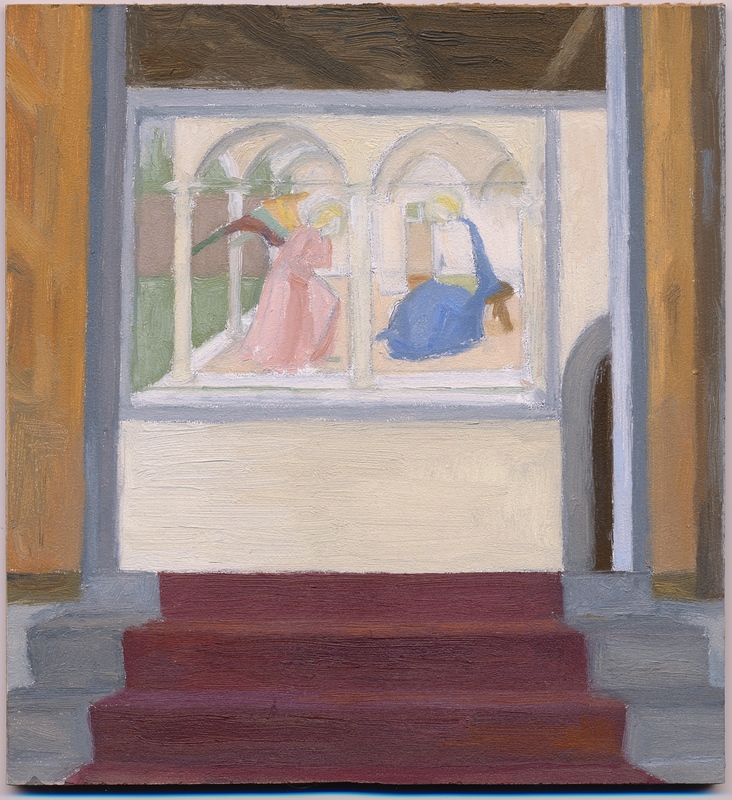 Of course many painters have been drawn to the image of windows because of their natural relationship to paintings themselves, with the framing of an organized, distinct visual field. But the relationship there isn’t quite fixed. It’s shifting. ... I’m not deliberately thinking of the window as a representation of one thing; I don’t think it’s so definite. It’s something we live with, an organizing principle like the calendar. The window is always there as part of our visual experience, unless perhaps you lived outdoors."